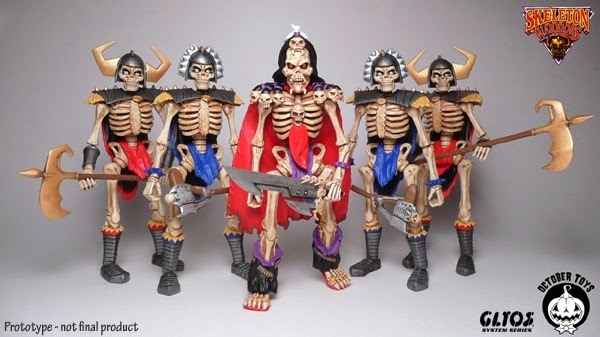 Skeleton Warriors Glyos Compatible Action Figures - Funded! Funded! The Skeleton Warriors (at press time) has 3 hours to go and beat its goal by $2,660 so far. There's still time to get in on this action, which for the free shipping and Kickstarter-exclusive blue is probably worth your while. Click here to get some. At this time it has not met any stretch goals nor does it seem this is likely to happen - the next one is at $60,000. 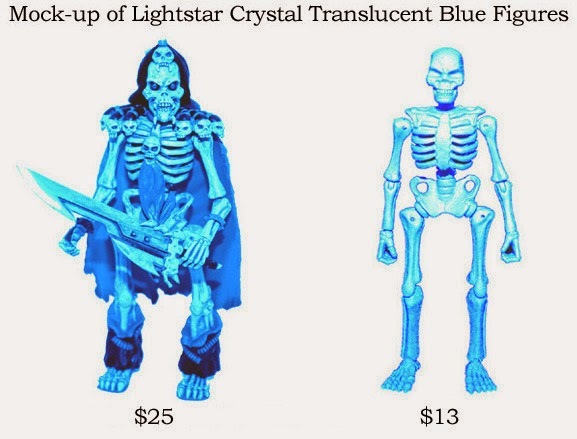 Over on Kickstarter, October Toys added two more figures you can add-on to your pledge for Skeleton Warriors. New Exclusive Figure Add-Ons of Baron Dark ($25) and the Titan Skeleton ($13) are up for grabs. These roughly match existing Cosmic Wave Exellis from a while back. A $93 pledge nets you all 6 figures, while the previous "one of each" level was $55 for 4 figures. The Crystal Blue versions are exclusive to kickstarter, and you've got less than 3 days to up your pledge - the Kickstarter drive ends Monday! Friday, June 20! Cloaked Leyden and accessories come to the Ni Stuff Store, so get some space on your 481 Universe shelves. Click here for a preview! These go on sale at 9:00 PM Eastern time, so get your digital wallet ready. Green clear Argen! That was the big surprise, along with two flavors of the legendary Lost Sincroid Army - which seem to be going pretty quickly. Click here to see the June 15 2014 Onell Design drop menu. 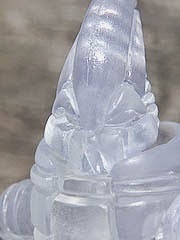 A matching clear green Axis Joint set for Argen was also released, and at press time all 4 items are in stock. Order while you can! Renewals are $12. New members, $20. You get Vision Mordles (test shots) randomly for free throughout the year. You get a membership packet. Here is a look at last year's. I think it was worth it. Membership runs between now and May 2015. While I certainly don't need more repaints of the same molds I find these endlessly charming. 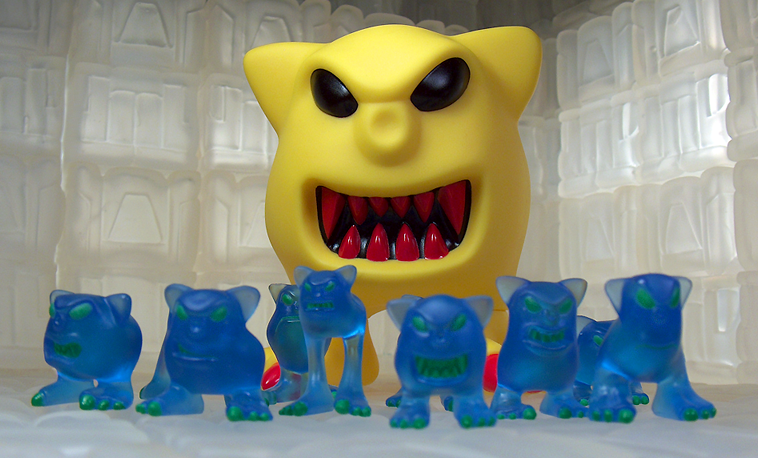 The Pac-Man inspired figures are an appropriate fit given the eater/food relationship of the line and hey, who wouldn't like a set of these? A figure a long time coming! The Lost Sincroid Army is one of seemingly more than one figures hitting the Onell Design shop around 9:30 PM Eastern on Sunday. One of the more loved but ultimately underrated toy lines of the 1990s - and home of the legendary, unproduced Bone Dragon - is getting a new shot at life with October Toys! Skeleton Warriors on Kickstarter is off to a good start, nearly 25% of the way with 20 days to go. 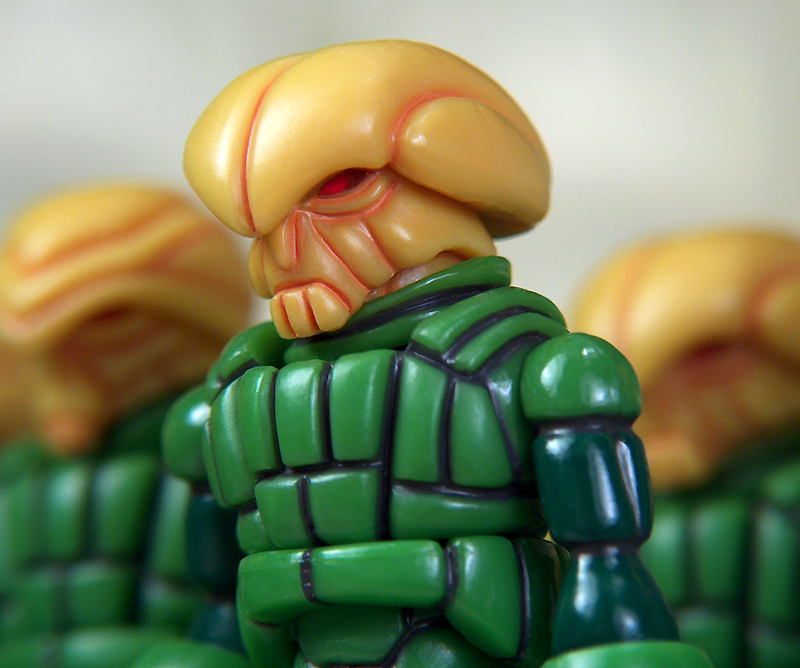 Baron Dark, a Skeletoney Pheyden named Skeledon, and two bare Skeletons are up for grabs first - plus this seems to be the first-ever mass-produced line of Glyos toys on Kickstarter. 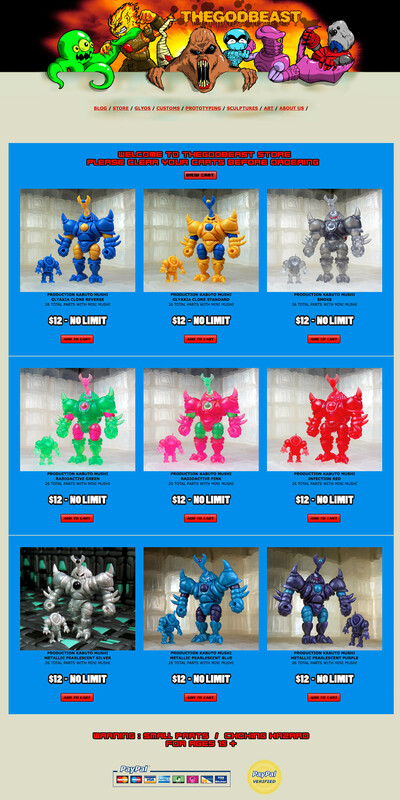 The best package - one of each of the non-stretch goal figures - is $55. Glyaxia and more! Clear smoke, Glyaxia, Radioactive, and Infection flavors can be yours. Click here to see the June 1 2014 TheGodBeast drop menu. A few older styles are still available too, so feel free to grab some now!